The cut-off area in Odisha’s Malkangiri district is a water-locked area, formed from the waters of two hydroelectric projects that came up in the 1940s and the 60s. But for roughly 20,000 villagers in 151 villages, basic facilities like electricity, healthcare and education remained a dream. Only recently, a few villages have been electrified. A 918-metre long bridge over the River Gurupriya is also under construction, and is expected to be open by next winter. It is a fierce encounter here on Monday morning that marked the end of the Maoist leadership in the strategically important AOB (Andhra-Odisha Border) zone. In a joint operation by Andhra and Odisha Police, 24 Maoists, including the zone’s top leaders have been killed. So far, those who have been identified are: Appa Rao alias Chalapathi, the East Division Secretary of the CPI (Maoist); his wife and Maoist leader, Aruna; Gajarala Ashok alias Uday, the military head of the AOB zone; Munna, the son of top CPI (Maoist) leader and its central committee member, Ramakrishna alias RK. It is believed that RK managed to escape. From the late 2000s, the Maoists invested a lot in the AOB zone. 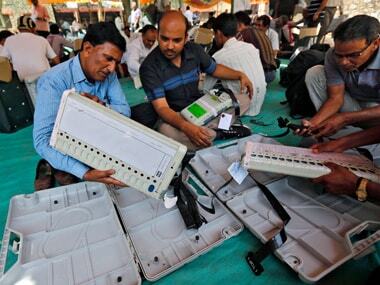 It is from here that they hoped to revive their movement in Andhra Pradesh. 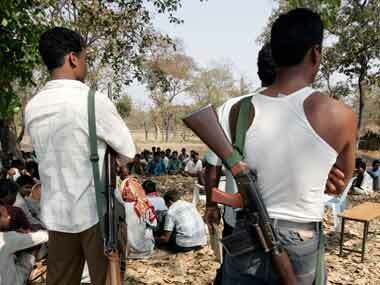 The cut-off area in Malkangiri was also used as a safe sanctuary for senior Maoist leaders. In June 2008, in an audacious attack, Maoist guerrillas killed 38 personnel of the elite anti-Maoist force, Greyhounds. Within a month, they killed another 17 security personnel. As a result, the security forces were forced to stop operations in this area for several months. 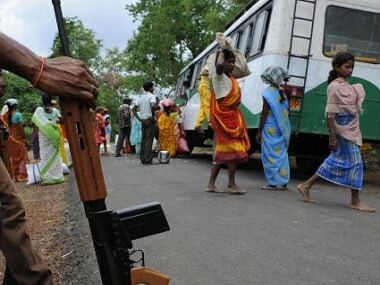 In the absence of any police presence, the Maoists turned the cut-off area into one of their strongholds. Some senior commanders were put in charge, and from here, the Maoists began to reestablish their network in the neighbouring Visakha Agency area. Around the same time, in February 2011, the Maoists kidnapped the then Malkangiri Collector, Vineel Krishna, from the cut-off area. 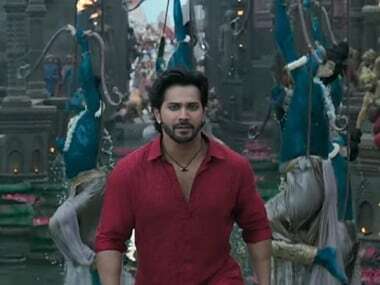 But Krishna was very popular among the tribals here; it is because of his efforts that the process of electrification of the villages in cut-off area took off. The tribals protested and the Maoists had to release Krishna; they got nothing out of it. In the meantime, their high-handedness cost the Maoists dearly in the neighbouring Visakhapatnam. In February 2013, protests broke out in GK Veedhi after Maoists opened fire and beat to death three tribals. In October 2014, in retaliation to a similar act, the tribals in Korukonda block lynched three Maoist guerrillas. Earlier, in 2012, Odisha’s top Maoist leader Sabyasachi Panda fell out with the leadership and was expelled from the party. In a letter to the Maoist supreme commander Ganapathi, Panda accused the Telugu leadership of AOB of "superiority" and accused it of trying to keep Odisha committee as subordinates. Panda was responsible for ensuring the supplies of explosives. After his expulsion and subsequent arrest, that channel dried up. The selfie of Chalapathi and Aruna that the police recovered from her brother Azad's laptop. In the last two years, the Maoists faced several losses in the AOB zone. The AOB military strategist, Ponoju Parmeshwar alias Nandu surrendered to the police and so did another senior leader, Sarita, who was the first woman commander of a company of the PLGA, CPI (Maoist)’s armed wing. In April this year, another senior leader Kudumula Venkata Rao alias Ravi died due to heart failure. In May, senior Maoist leader VR Gopal alias Azad and two other guerrillas were killed in an encounter with the security forces. From his laptop, the police recovered a selfie of his sister Aruna and her husband Chalapathi (both killed in the encounter on 24 October). The Odisha Police also got its act together, and under the current Malkangiri police chief, Mitrabhanu Mahapatra, hundreds of Maoists and their sympathisers have surrendered in the last few months. The CC member, RK, surfaced in the cut-off area on 1 October after a gap of two years. Believed to be suffering from severe spondylitis, the party had shifted him to Chhattisgarh. The police believes that he may have been injured in Monday’s encounter. Pursued by security forces and not so welcome any longer in many of their erstwhile bastions, the Maoists have been pushed back. The encounter in the cut-off area is a serious blow, which the Maoists will find very hard to absorb.